Food, Brexit and the Consequences: what can academics and the UK food movement do? Although we worked hard to try to get food into the Referendum discourse, despite a bit of coverage and hundreds of downloads of our briefings, there was next to no discussion of food. Yet since the Referendum vote, ironically, there has been a rapid rise of interest. Now more people ‘get’ it. If Sterling drops in value, that means a country which imports 30% of its food (much of it the good news for health, fruit & veg) will have to pay more. Unravelling decades of food law and regulations, let alone the labyrinthine Common Agricultural Policy, let alone generations of supply chains, let alone food tastes and consumers who are used to a food system based on EU security, is a very risky project. More optimistically, this is going to be exciting. But so are helter-skelters, they say. And there is one big difference. We are about to be locked in, or out, according to your perspective. At the same time, we know enough to know that the last 70-100 years of ‘development’ have made that restructuring both easier and harder. Easier in that there is the potential to produce enough food to feed people well. There is already plenty of food, although maldistributed and wasted. But it will be harder in that supply chains, consumer aspirations and market distortions have locked us into wasteful unhealthy food cultures which have been normalised. In the UK, we are in the rich world yet our food system is fractured by gross inequalities of access, cost, health and culture.12 13 Food employs 3.6 million people, yet wages are low. Not starvation, but low and squeezed by powerful forces down the long supply chains. Food has never been so cheap for the British – down to about 10% of average disposable income – yet people on low incomes are forced to use old-style welfare donations in food banks to help make ends meet.14 15 Food Banks have become a growth industry – and some politicians are only too happy for this to be the case. They prefer charity to state-dependency, a bug-bear of anti-welfarists since the 19th century. What a bizarre time therefore for the UK to vote in effect to destabilise the commitments just made by governments – including the UK’s – to engage with some of this via the Paris Climate Change Accord and the Sustainable Development Goals!16 17 Yet the die is cast. The politics is in full swing, part spectacle, part nightmare, but very real. The food system is leaderless. The powerful food industries shamefully kept their heads down and now are deeply anxious, as well they might be. They are in the frontline, and those 3.6 million jobs, too. Meanwhile the vast majority of food academics and the food industry, let alone civil society have had decades of engagement with EU food, health and environmental politics thrown in the air. That’s why heavy majorities in academia and science were pro Remaining In the EU. They / we too are now in some disarray. But this must not continue. My call is for us to get our act together, to be calm and analytical. This is precisely the time we need to be highly focussed, clear about our tasks, and intent on contributing our knowledge to fill the policy vacuum. In truth, there are many ideas of the way forward. Victoria Schoen, a FRC research fellow, and I have worked hard with colleagues in other universities to try to track the different ideas on the table. 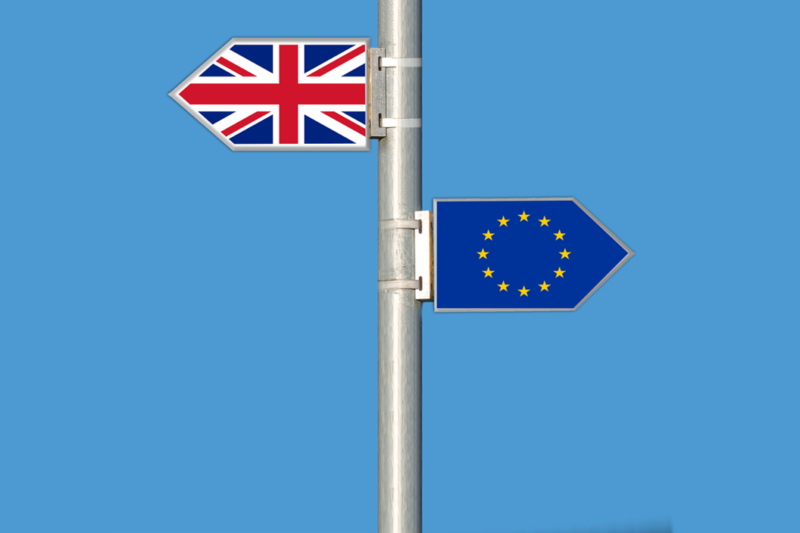 Read the FRC briefings to see the options as they were before the Referendum. But we are now in a different place. The vote is taken. The options now become real or get rejected. If we really want to promote a more sustainable equitable food system in and for the UK, now is the most important time to discuss issues and to speak out. The political processes are likely to marginalise food justice unless we stop them. I see our task as essentially two-fold. Firstly, to monitor the ideas and options being mooted for the Brexit process. This is too important to leave to ideologues in Whitehall. It needs our cool heads and analysis. Secondly, we need to engage widely. Part of the reason for the Brexit vote was the long-simmering disenchantment of areas of the UK which had been left out in the cold. NatCen Social Research has just produced the 33rd British Social Attitudes Survey.18 This shows entrenched social class positions and values. Most analysts of the Brexit debacle since the event have suddenly ‘discovered’ these realities. Why did Sunderland vote against when it’s the base for Nissan? Why did North Lancashire? Well, the people there are clear and articulate. The reasons given are complex, some not nice, racist even, some understandable – jobs, no-one listening, lack of hope. But why was this not discussed centrally before the vote? Why were academic analyses of simmering discontent ignored? In truth, the UK’s deep divisions have been long known.19 20 21 And the political ‘project’ often called neo-liberalism or globalisation drove on. That’s one good thing perhaps from the Brexit vote. Great swathes of the country have de-industrialised, been quietly abandoned, syphoned of hope, but that fact has not been central to politics. Huge gaps and inequalities of opportunity have been entrenched. There’s been a harshness in politics. We see this in food, too. Indeed, it’s an illustration par excellence of the wrongs. Why does the 5th richest economy on the planet allow gross diet-related life expectancy gaps to exist, or an explosion of food banks? Healthcare is not the answer to obesity. We know that. What are our tasks right now? I have been thinking a lot about this. Here are some ideas I think important. Let us discuss them. Add your own. Some we began to consider before the vote. Others are a response to realpolitik. The Brexit Unit in Whitehall. This new unit now has terrifying responsibility. David Cameron has announced that Oliver Letwin MP is to lead this. But what will it actually do? What expertise will it have? How big will it be? Will there be food specialists in there? Will it be dominated by Big Farm, Big Food and Big Supermarket interests? Who will champion consumer interests? Will it be hiring back expertise from departed Defra specialists? Whom from outside will be engaged? Or is this to be a Letwin ideological think-tank? Heavens forbid. ‘Phoney war’ Brexit negotiations. The real ones haven’t started yet, but posturing has. Mr Cameron is no longer welcome in Brussels, but what are the 27 discussing and preparing? What differences are there? Where is the room for manoeuvre to see if the progressive food thinking in the UK can get help? Which model of the negotiations will be followed? Will the UK adopt existing EU regulations? Or will we junk them all? Or, in the case of food, will we adopt the default position of retreating to WTO standards (in which case Codex Alimentarius Commission standards become the UK’s)? I hope not! Timing. The Conservative Party Brexiters are sending out different signals. Some want Article 50 quickly, and to begin the 2 year severance process immediately. Others want to delay it. The departed Mr B Johnson was in the latter pragmatic camp. Mrs May appears to be a hard liner. This matters. Will we have shorter or longer uncertainty and destabilisation? What are the right wing think tanks saying? The lack of Plan B by Bremainers was embarrassing, and betrayed their arrogance in my view, but the vacuum from Brexiters is shocking and now they’ve won, it is frankly scary. Politics. For at least 2-3 months, the focus will be on the Party leadership battles. But in Scotland and Northern Ireland, different foci exist. Spain has already furiously rejected Scotland’s floating of gaining EU membership; it fears a precedent for Catalonian independence. What splits do we see likely? Where are our allies, and where our enemies? By this I mean who will work for a more just, sustainable food system, and who will use Brexit to take us backwards? Follow the money. This is a basic rule. If you want a quick digest of where the UK consumer’s food money goes, have a look at the new (May 2016) update of the Defra annual: Agriculture in the UK.27 This shows that consumers spend £201bn a year. Farming gets little. Manufacturing, retailing and catering vastly more. Much small farming or dairy farming is kept afloat by EU CAP subsidies. The NFU is deeply worried about this loss. It will be pushing for simple transfer of subsidies. But those keep land values up. Is this what we want ahead? Should the UK do a New Zealand, and take the chance to cut all subsidies?30 Horticulture – the good news for health, and heavily reliant on foreign born labour – receives no subsidy, yet should be vastly expanded. And what about introducing new thinking on the gap between high and low paid food work? Food work and free movement of labour. The European Council stated on June 29 that the UK will not be given access to the Single Market. This is the EEA status Norway has by paying handsomely into the EU while having no democratic involvement for the privilege of market access. The EC insists that the UK would have to accept freedom of movement of people alongside market access. Yet this is what many Brexit voters and leaders unite to reject. Xenophobia fills the vacuum caused by an EU migration policy crisis. This has immense implications for the UK’s food system, which is a heavy user of foreign-born labour in horticulture – hard, out-of-doors work About 15% of farming labour force was seasonal, mostly foreign in 2013.31 38% of labour in the UK food manufacturing sector – the UK’s biggest manufacturing sector as the FDF loves to say32 – is foreign-born, according to Oxford University’s Migration Observatory.33 How could food jobs be up-skilled and better paid on and off the land? The food labour issue must be addressed by the food movement. The FRC has a number of papers in preparation on the issue of food and work. Creating new working alliances. New situations require new working relations. We need to talk widely, find out what sectors and interests are feeling. Do people in low income areas who voted Brexit really want their food to go up in price? Are they aware of coming problems or doesn’t it matter? People often say they want something but then act differently. All the Sustainable Food Cities now have a real focus to the groundwork already done, for example. And policy focussed people need to redouble efforts to have lines of communication with elected people locally and nationally. Groups such as the Food Research Collaboration and the Square Meal group are talking as are others. These internal discussions must face outwards too. We will have to rise to this challenge. We have much work to do. And there will be many interests who share our concerns. This may be a time for unlikely bedfellows and unholy alliances. But let there be debate. And above all, get organised. History is littered with missed opportunities. We need to articulate what ought to be happening for the UK food system, whether in or out of the EU. Allowing ideological purists to destabilise the emerging policy thinking for sustainability must be resisted. We must work hard to win public hearts and minds. Brexit campaigners did this more effectively in the Referendum than the Bremainers, whose dry economic warnings fell on deaf ears. They might well have been right but they didn’t garner the votes. Think food as hearts and minds, not just as mouths in coming months and years. Bailey A, Lang T, Schoen V. Does the CAP still fit? London: Food Research Collaboration, 2016:23. Lang T, Schoen V. Food, the UK and the EU: Brexit or Bremain? London: Food Research Collaboration, 2016:40. Schoen V, Lang T. Horticulture in the UK: potential for meeting dietary guideline demands. London: Food Research Collaboration, 2016:36. Baldock D, Buckwell A, Colsa-Perez A, et al. The potential policy and environmental consequences of a UK departure from the European Union. Report by the Institute for European Environmental Policy in collaboration with the Wildlife Trusts, the Royal Society for Protection of Birds, and WWF UK. London Institute for European Environmental Policy, 2016:103. Buckwell A. Agricultural Implications of Brexit. http://ca1-fml.edcdn.com/downloads/WCF-Brexit-18.01.16-pdf.pdf?mtime=20160207094708. London: Worshipful Company of Farmers, 2016. Grant W, Cardwell M, Greer A, et al. The Implications of ‘Brexit’ for UK Agriculture A report for the Yorkshire Agricultural Society. Harrogate: Yorkshire Agricultural Society & the Farmer-Scientist Network, 2016. Matthews A. Implications of British exit from the EU for the Irish agri-food sector. TEP Working Paper No. 0215. Dublin: Department of Economics, Trinity College Dublin, 2015. Matthews A. Gainers and losers from the CAP budget, November 17 2015, Blog post http://capreform.eu/gainers-and-losers-from-the-cap-budget/. capreformeu, 2015. Swinbank A. If the British left: agricultural policy outside the CAP? EuroChoices 2014;13(2):36-39. Foresight. The Future of Food and Farming: Challenges and choices for global sustainability. Final Report. London: Government Office for Science, 2011:211. UNEP. Avoiding Future Famines: Strengthening the Ecological Basis of Food Security through Sustainable Food Systems. Nairobi: United Nations Environment Programme, 2012. Douglas F, Ejebu O-Z, Garcia A, et al. The nature and extent of food poverty. Glasgow: NHS Scotland, 2015. Lambie-Mumford H, Crossley D, Jensen E, et al. Household Food Security in the UK: A Review of Food Aid. London: Department for Environment, Food and Rural Affairs, 2014. Caraher M, Cavicchi A, Griffith C, et al. Old crises on new plates or old plates for a new crises? Food banks and food insecurity. British Food Journal 2014;116(9). Sustain. Beyond the Food Bank: London Food Poverty Profile 2015. London: Sustain, 2015:22. UNFCCC. UN Framework Convention on Climate Change (COP21). Paris. 30 November – 11 December 2015. http://unfccc.int/secretariat/contact/items/2782.php. Bonn (Germany): United Nations Framework Convention on Climate Change, 2015. United Nations. Sustainable Development Goals. New York: United Nations Department of Economic and Social Affairs, Division for Sustainable Development, 2015. Curtice J, Phillips M, Clery E, editors. Britain Divided? Public attitudes after seven years of austerity. 33rd British Social Attitudes Survey. London: National Centre for Social Research, 2016. Dorling D. Injustice. Bristol: Policy Press, 2015. Wilkinson RG, Pickett K. The Spirit Level: why more equal societies almost always do better. London: Allen Lane, 2009. Hills J. Good times, bad times: the welfare myth of them and us. Bristol: Policy Press, 2014. Brandt K. The Reconstruction of World Agriculture. London: George Allen & Unwin, 1945. Fenelon K. Britain’s Food Supplies. London: Methuen and Co., 1952. Neville-Rolfe E. The Politics of Agriculture in the European Community. London: Policy Studies Institute, 1984. Tracy M. Government and agriculture in Western Europe, 1880-1988. 3rd ed ed. New York ; London: Harvester Wheatsheaf, 1989. Boyd Orr SJ. Food and the People. Target for Tomorrow No 3. London: Pilot Press, 1943. Defra. Agriculture in the UK 2015. London: Department for Food, Environment and Rural Affairs, 2016. Defra. Food Statistics Pocketbook 2015. London: Department for Environment, Food and Rural Affairs, 2015.
de Ruiter H, Macdiarmid JI, Matthews RB, et al. Global cropland and greenhouse gas impacts of UK food supply are increasingly located overseas. Journal of the Royal Society Interface 2016 13:http://dx.doi.org/10.1098/rsif.2015.1001. Walker AB, Bell B, Elliott REWE. Aspects of New Zealand’s Experience in Agricultural Reform Since 1984. Wellington NZ: Ministry of Agriculture and Forestry, 1997. Migration Advisory Committee. Migrant Seasonal Workers: The impact on the horticulture and food processing sectors of closing the Seasonal Agricultural Workers Scheme and the Sectors Based Scheme. London: Home Office, 2013:228. FDF. About the Food and Drink Federation: https://www.fdf.org.uk/about_fdf.aspx. London: Food and Drink Federation, 2016. Rienzo C. Migrants in the UK Labour Market: An Overview. 5th Revision. Oxford: Migration Observatory, University of Oxford, 2016. Excellent, short but sharp piece !! Dears, Tim is saying that it is time to roll up sleeves and work even harder. This is Tim Lang. Tough times, but fertile of opportunities for food thinkers. An excellent article – thanks! One thing is for sure, there will be no lack of potential themes for a research proposal when I start my MSc in Gastronomy at Queen Margaret Uni in September. I may be in touch a little nearer the time if that’s ok? Message yesterday from the Food Standards Agency. Do we need to think about the definition of a Consumer Organisation? Provisionally we think the full panel will meet quarterly, however, given the range of issues that will have a bearing on this work, the Expert Advisory Panel may need to convene smaller, more specialist, working groups to examine specific issues, drawing on external expertise where appropriate. Please state in no more than 250 words your experience, expertise and why you would like to be considered for the Panel. The Science and Technology Committee holds its first evidence session on Leaving the EU: implications and opportunities for science and research. Watch it online at Parliament TV. The Committee will examine how the aspects which underpin our science and research might be affected by exit from the EU, and how these might best be provided in future; the science implications and opportunities under different ‘models’ for a future relationship with the EU; the scope for continued access to the EU’s Horizon 2020 funding; and the opportunities for wider science collaboration. The Committee will also probe in particular depth the Switzerland/EU model.